The wine tasted like textbook Napa Cabernet Sauvignon—at least to my palate biased by years of repetition—but a leaner style, more on the elegant end of the scale. I wrote my guess in my notebook and waited for the instructor to reveal the wine’s origin. Ha! 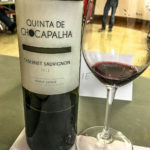 I cried out: It was Cab Sauv—but a bottle from Quinta de Chocapalha, not 60 km from where we sat at the Instituto da VInha e do Vinho in central Lisboa. 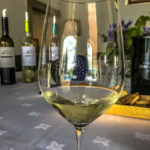 Turns out, the wine was poured as a reference Cab Sauv for a level 1 Wine Spirits Education Trust (WSET) course–a fine indication of its quality and style. 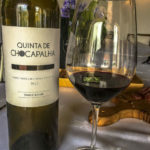 We made a visit up to Quinta de Chocapalha to taste these benchmark wines back in July, driving up across to the southern side of the Serra de Montejunto from Bucelas to the heart of Alenquer. Aldeia Galega da Merceana, the village nearest to the quinta, sits just off the N115—one of the key rotas dos vinhos in the Lisboa viticultural region. 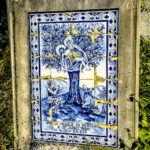 We passed the grand azulejo commemorating the village’s Pieta and wove through town onto the lane lined with 100-year-old trees. 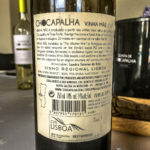 We had budgeted time for traffic, so we were early—generally more of a liability in these parts—and we pulled off next to the road to admire the vines marching up over the hills of the compact valley in which the quinta sits. Though we heard a tractor come from a distance up the road, the overall peace enveloped us, making it easy to understand why the Tavares da Silva family chose this location for their life and livelihood. Alice greeted us as we walked through the quinta’s gate, setting a tone for the grace, warmth, and quiet precision we’d see throughout our visit. 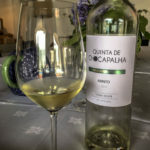 She apologized that her daughter, Sandra, was up in Douro at another project—we would have to meet the quinta’s winemaker at another time. We walked around the winemaking and storage buildings with a new member of the team, who showed us with pride the extreme cleanliness and efficiency of the operation. Paulo and Alice Tavares da Silva began in 1987 with the acquisition of the property in stages. 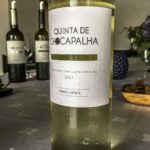 The grapes planted here suited volume, not quality, so replanting started only after Paulo educated himself and interviewed folks in the village as to the best varieties to carry forward. 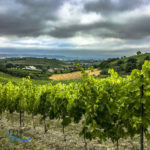 Three main features bring the wines into focus: the calciferous clay soils, the proximity to the ocean for its moderating breezes, and the dynamic temperatures experienced by the various microclimates within the estate. Of 70 total hectares, 50 are planted to grapes, with a designated Pêra Rocha (pear) orchard taking another 4.5 hectares. 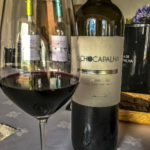 Today, a mix of whites (Arinto, Chardonnay, Sauvignon Blanc, Viosinho, and Gouveio) and reds (Castelão, Touriga Nacional, Tinta Roriz, Syrah, Touriga Franca, Alicante Bouchet, Cabernet Sauvignon, and Petit Verdot) cover these slopes, according to their predilections. 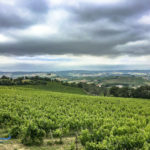 We sat down to a broad selection of these wines with Alice, who related both the promise of 2017’s early harvest, and other past great years, such as 2011. Time will tell what 2018 brings—with its generally cool summer months punctuated by a stunning blow of heat in early August. 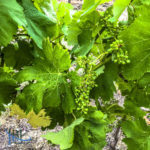 Did the morning dews from the Atlantic protect the grapes? Let’s hope so—as they begin to pick in mid-September as we make this report. A mix of of traditional and new processes creates the wines, as we explored during our tasting. 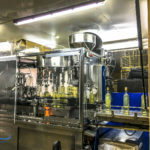 For example, the Vinha Mãe (“mother wine”) tinto, from Tinta Roriz (30%), Touriga Nacional (40%), and Syrah (30%) grapes, undergoes a pre-fermentation maceration for 24 hours, then fermentation in the lagares pressed by a robotic mechanism over 11 days. Next, 20 months in used French oak barrels. 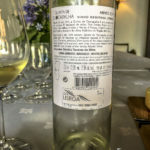 The Tavares da Silvas have no qualms about missing a vintage if the quality isn’t there—2014 proved uneven, so no regular tinto blend was produced. 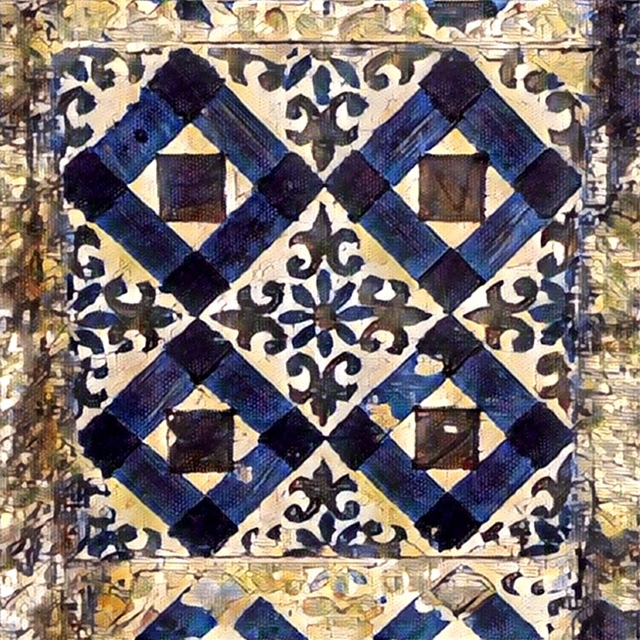 After we grazed through the Azeitão cheese, linguiça, and breads along with our wine, and carried further into conversation, Alice found out that I’ve a fascination for the azulejos that abound all over Portugal. “Ah—you must see the house. It has so many antiques.” With that she led us through the main floor of the manor house, tiled in nearly every room. 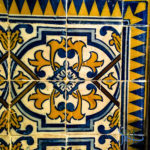 As the family has restored the home over the years, they’ve kept the azulejos in place as part of the life that the house has lived. Even the kitchen features lovely blues and creams in functional backsplashes and surrounds. 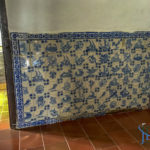 The character and history these lend is priceless—and a part of why I named this project on Portugal “Broken Azulejos.” Alice understood completely. 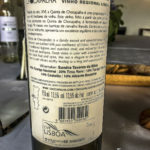 With a promise to catch up with Sandra in the future, we took several bottles home with us—and since then, we’ve also discovered that a local vegetarian restaurant serves up the quinta’s Mar de Lisboa everyday marque, which we’ve enjoyed both in branco and tinto versions. Seek out these wines for their precision, broad range, and excellent expression of the lands in Alenquer. 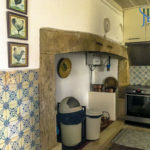 Casa Agrícola das Mimosas, Lda. From 100% Arinto grapes, estate grown, and fermented with natural yeast. Shows a clear light spring green, benchmark Arinto for the area. Beeswax and florals on the nose lead to lime zest and a mineral streak on the palate. 12,5% abv. 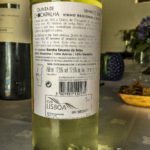 From 80% Viosinho, 10% Arinto, and 10% Verdelho grapes, estate grown. Leads with chives and white jasmine on the nose, then more white flowers to taste, along with key lime juice. Clear and light, similarly spring-washed. 12,5% abv. From 45% Touriga Nacional, 15% Tinta Franca, 20% Tinta Roriz, 10% Alicante Bouschet, and 10% Castelão, estate grown. Dusty violets on the nose, plus blackberries, and their stems, plus rhubarb. Fresh blackberries on the palate. 13,5% abv. From 40% Touriga Nacional, 30% Tinta Roriz, and 30% Syrah, estate grown. Cacao and aniseseed on the nose, then with notes of game, dark cherries, and black raspberries on the palate—lots of longevity and follow through. A winner with the particular linguiça we enjoyed at the quinta. 14% abv.